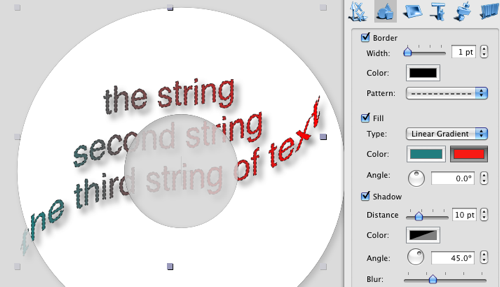 To start with tis feature you need to add a usual text box to your label, and switch to the Text info panel of the Object Information panel. 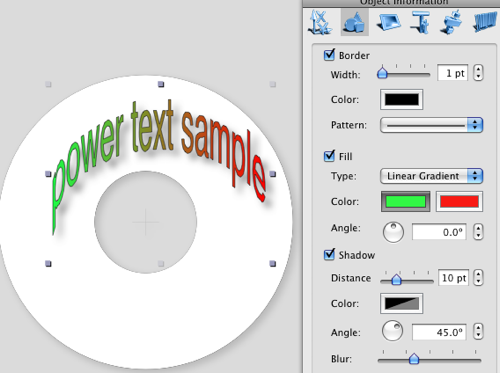 just check the Power Text check bo, and select the desired effect then. 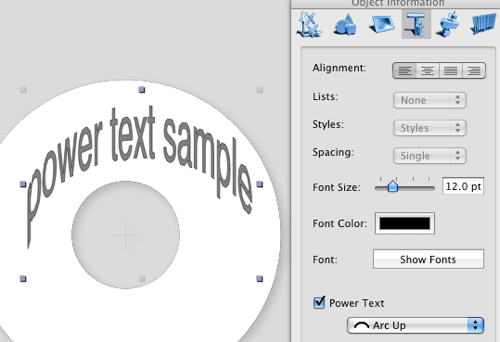 You may als want to resize the text box, click on the Object tool, or just click on the label outside of any objects (which switches to the Object tool also), and resize your box. 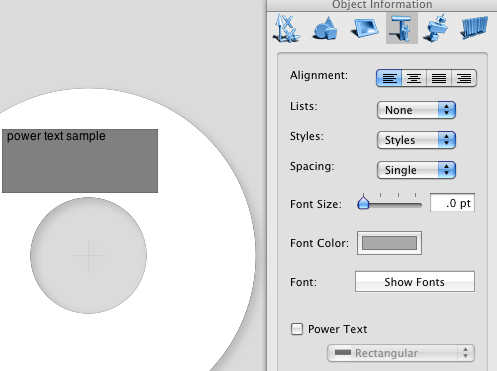 switching to the Graphics tab of the Object Information panel allow you to set the power text all the attributes, usually applied to the object box. then turn it to the Power Tex, and add colors and shadow.